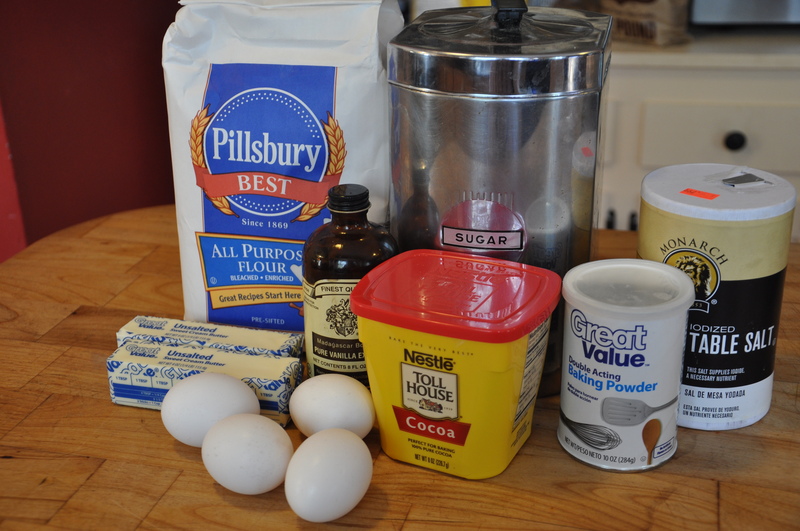 Brownies, legally enhanced with these good, good things. I have this friend who lives in the Pacific Northwest, and we chat frequently on Facebook. Like me,she loves tasty foods that aren’t particularly good for you. Like me, she falls under the demographic of “Rubenesque” rather than the one labeled “svelte”. 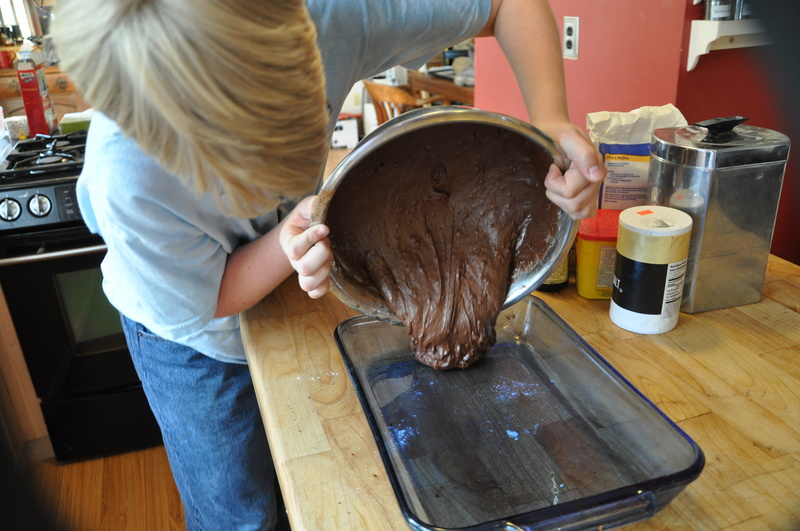 Anyway, the other day she was going on about having made a pan of brownies from a recipe a friend gave her. I asked for it, and being a generous sort, she shared it. Melted butter, sugar,vanilla. there is no better way to start a recipe. Then we started talking about how to improve any sort of brownie recipe. “Nuts!” she exclaimed, “and chocolate chips!” Of course, that goes without saying. I don’t know of anything other than, perhaps, scrambled eggs, that isn’t improved with the addition of nuts. 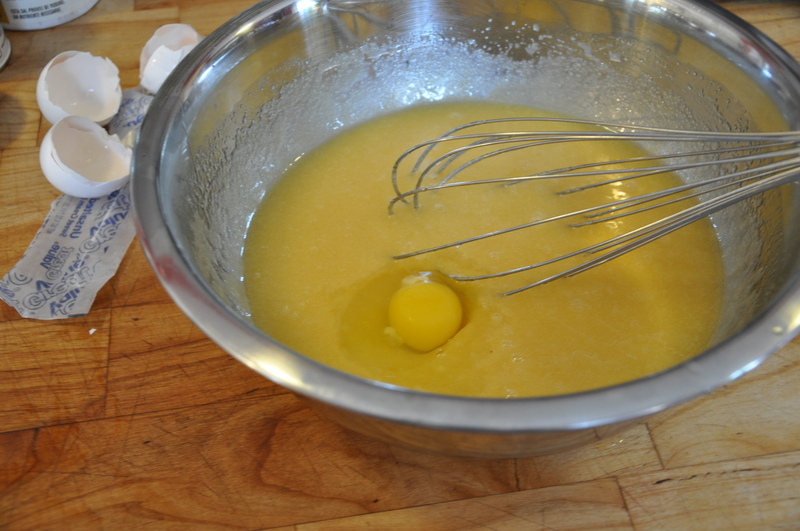 Add some eggs. It gets better! Then I started piling on stuff. I am not content with just a brownie, no matter how many nuts and chocolate chips are in them. “Ice cream! MOAR NUTS!” she shouted. 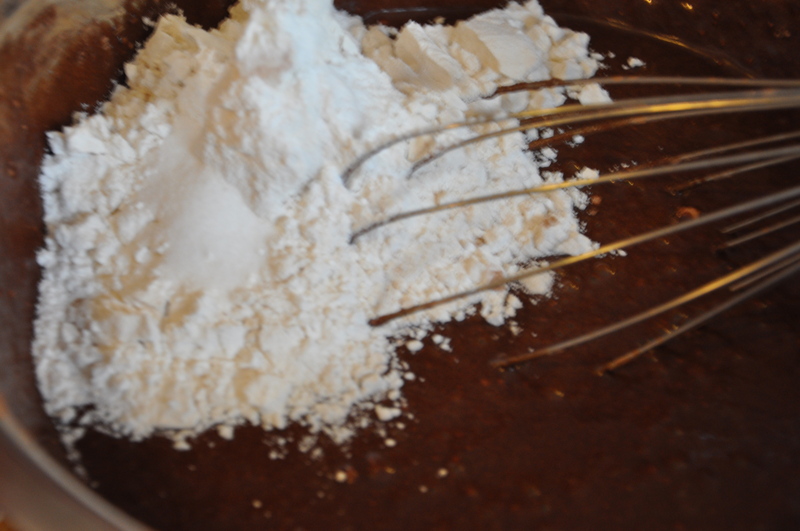 The boring stuff: flour,baking powder, salt. So then, both of us fairly sure the end of the world is near, and thus counting calories and worrying about thinness is a pointless activity, a plan was conceived, and we called it The Brownie Apocalypse. "does it all have to goin the pan? how much can I leave in the bowl?" Now, I didn’t have any Hershey’s cocoa, so I used what I did have- Nestle’s,and the brownies did not burst into flames or die a weeping and tragic death. So I’d say just use the cocoa you have. Now, you need other tasty things to take it from a plain old (but delicious) brownie to The Brownie Apocalypse. You will need your favorite coffee ice cream. 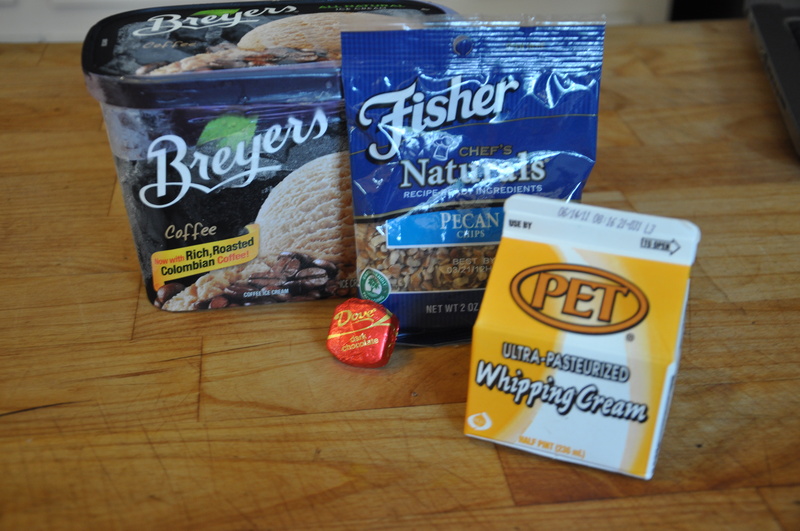 I used Breyers because it was on sale and wasn’t $4 for a pint like the Starbucks or Hagen Daz. You will need some chopped pecans. Pecans please, not almonds or walnuts or hazelnuts. I suppose youcould use them IF YOU WANT TO but it won’t s The Brownie Apocalypse, but something else and you’ll have to come up with another name for it. You will need whipped cream. 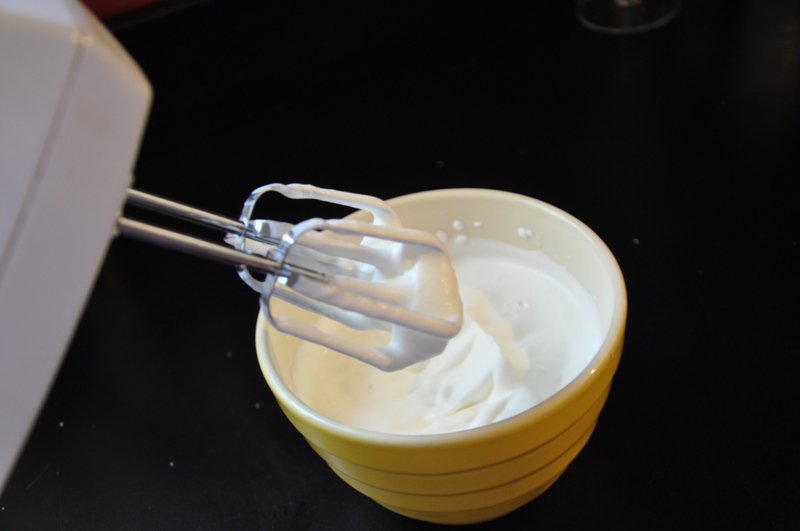 Unsweetened, unsalted, just plain heavy cream whipped to firm peaks. 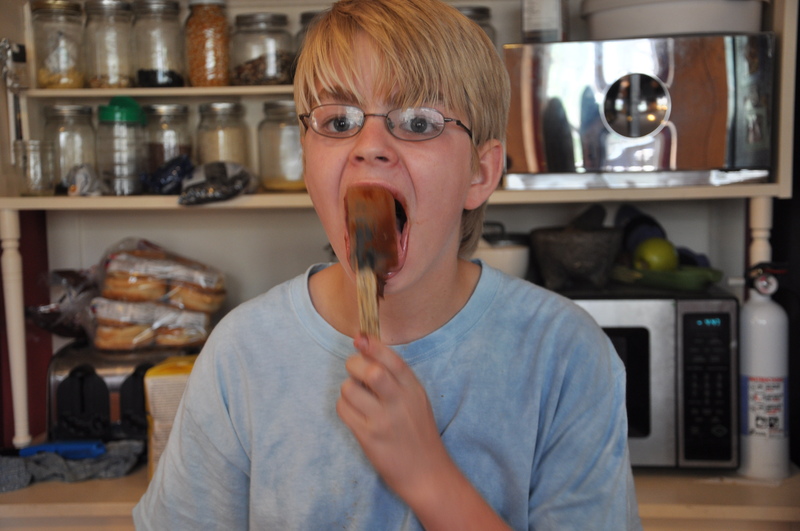 Sweetened stuff, or (God forbid!) CoolWhip won’t cut it. You will need some shaved dark chocolate. Not much. I suppose IF YOU HAVE TO, you could put a cherry on top, but that would kind of affect the monochromatic subtlety of all the lovely tans and browns. I don’t recommend it. Toast the chopped pecans (okfine…whatever nuts. I say pecans because they’re superior nuts in such an application.) by tossing them with a teeny bit of vegetable oil (1/4 teaspoon or so) and a generous pinch of kosher salt. The salt is important because it is. Trust me. 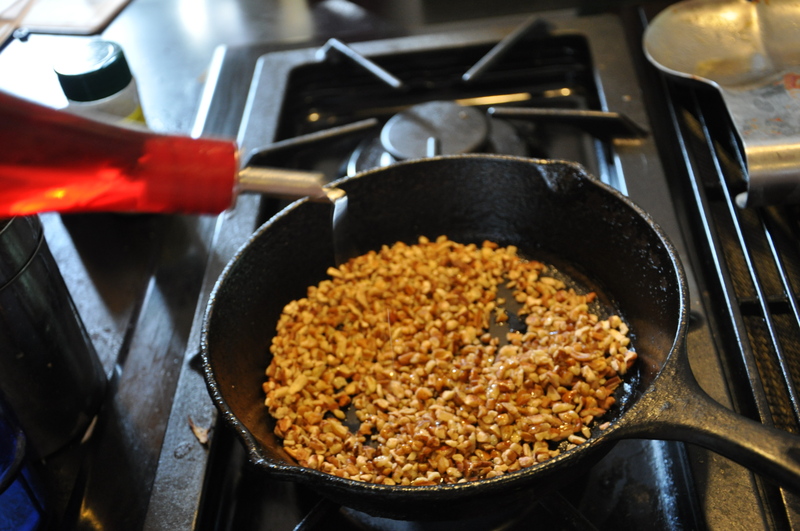 Put the nuts in a skillet on medium heat and stirr often until they start to smell toasted. Taste them to make sure (careful, they’re hot) then taste again JUST TO BE SURE. You can’t be too careful about these things. 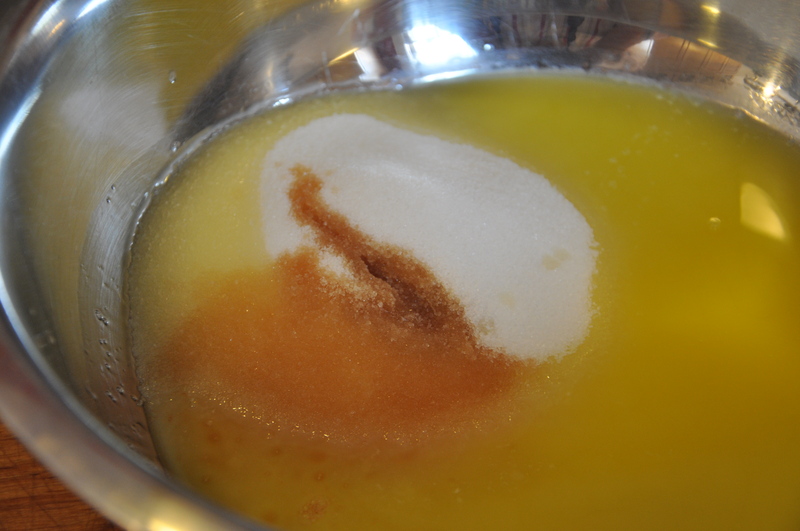 Whip the heavy cream until it forms firm peaks. Any longer than that and you’ll wind up with butter (O DARN!) and have to start over. Don’t sweeten it! The brownies and ice cream are plenty sweet, you just want the whipped cream for egregious self indulgence richness and the “GOOD GRIEF” response you’ll get from fortunate recipients. Now you’re ready to construct. 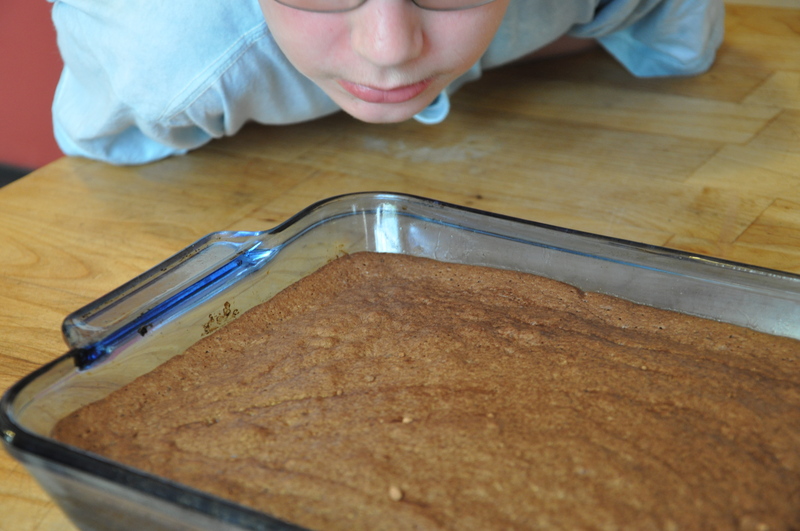 First, put a brownie on a plate. Keep it small, because honey, this pile is RICH. Too much and you’ll make yourself sick. 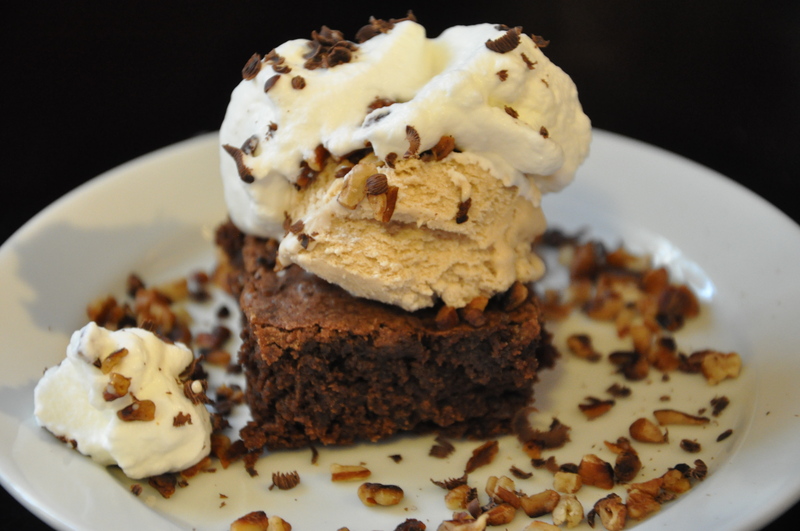 Then top the brownie with a small scoop of your favorite coffee ice cream. I like Breyers because it was on sale. Sprinkle the ice cream with some of the salted nuts. Ok, a little more. Did they spill on the plate? OH NO! Put a few more on! 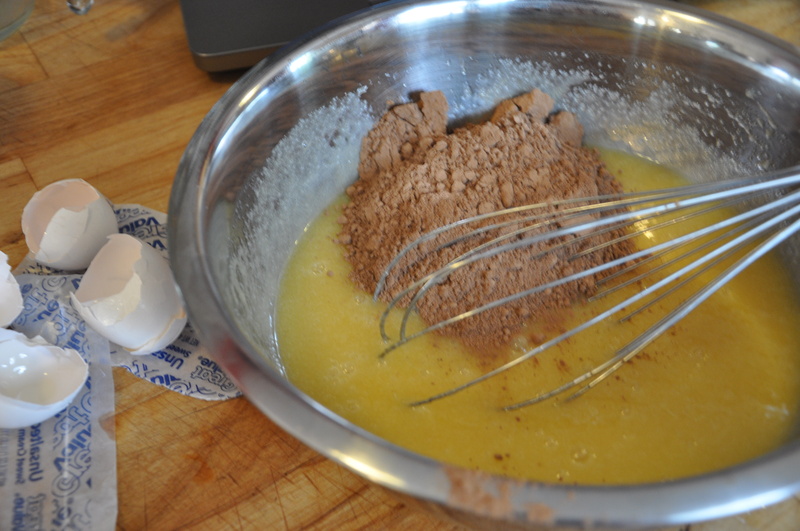 Now, top the ice cream and nuts with a nice spoonful of the plain whipped cream. Isn’t that pretty! I used a lone Dove Dark chocolate I had laying around, left over from the last time I had PMS, and grated a bit of it on top of the whipped cream. Ok it was probably unnecessary, but it was fun and pretty.